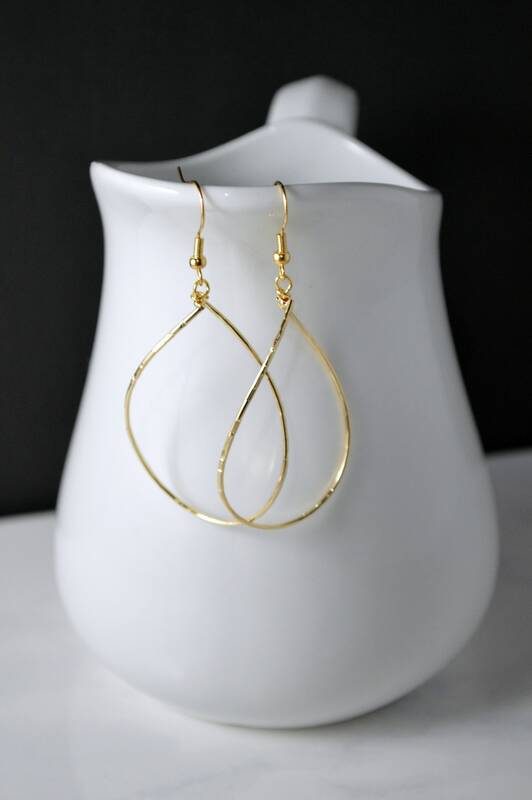 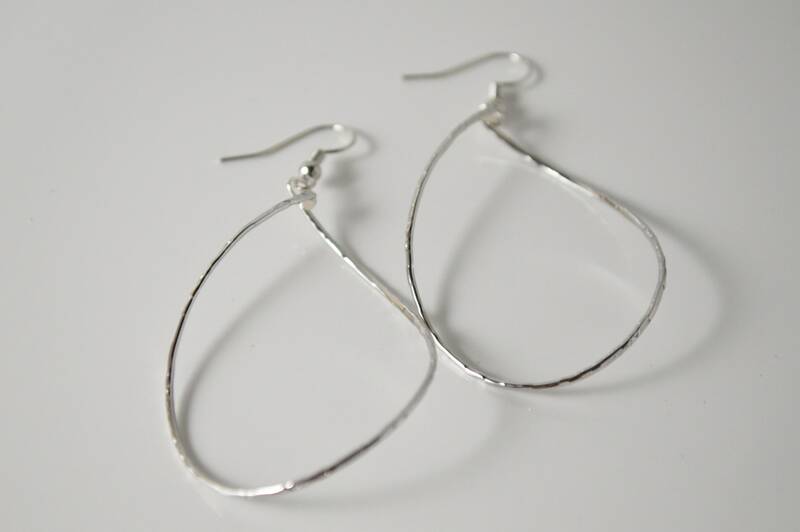 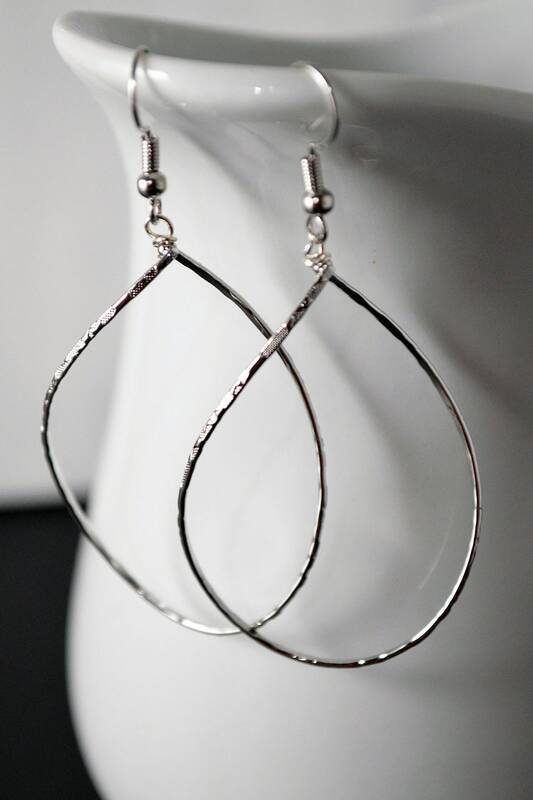 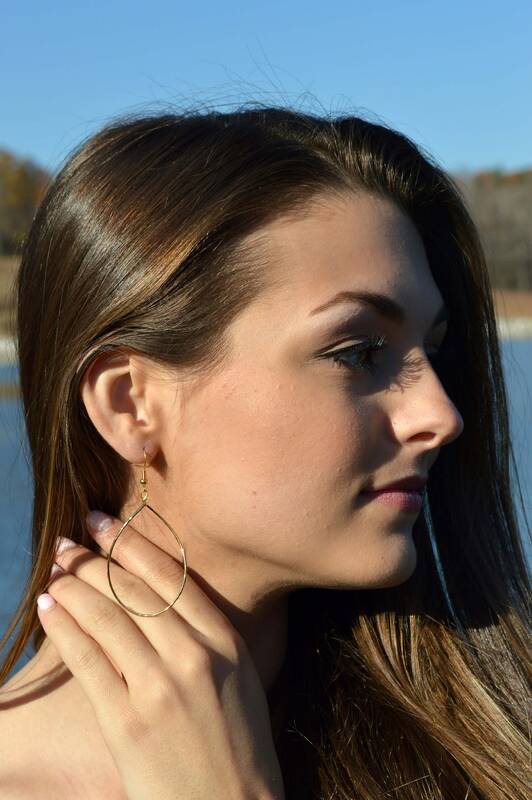 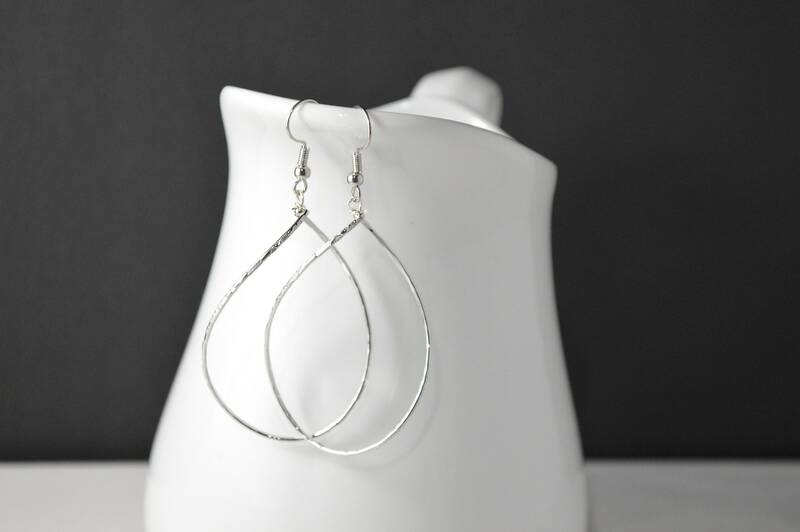 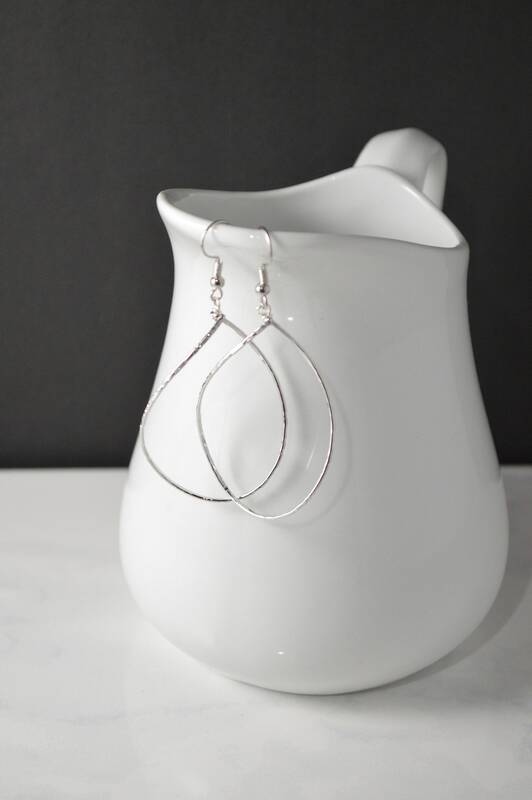 These extra large teardrop hoop earrings are twisted and crafted so they swivel when you move. 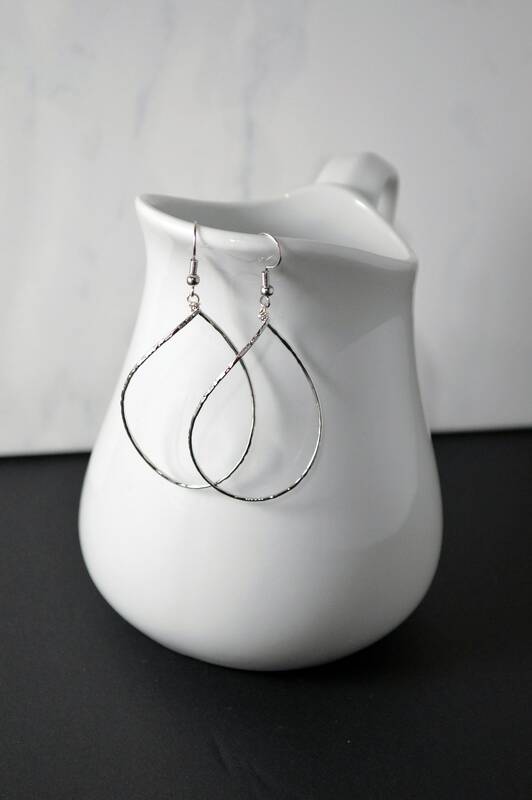 The stylish lightweight hoops are rhodium plated and polished to a glittering finish with a hint of texture providing the perfect amount of spark as light hits them. 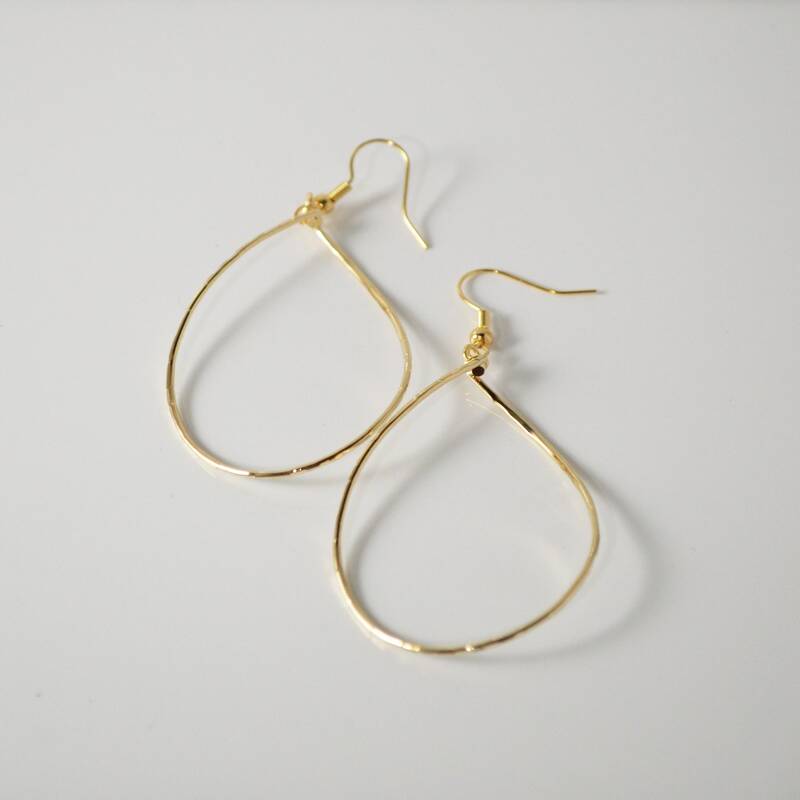 The large size make them perfect for a fun evening out and the elegant shape makes them versatile enough to wear to the office. 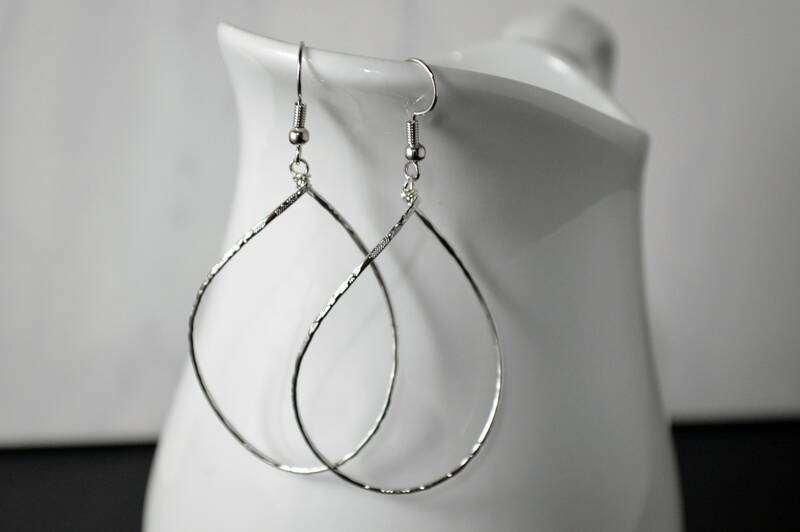 Total Earring lenth is approximately 2.75"